Auntie Anne's, the freshly made baked pretzels recently opened its 34th store at the Tower 2 of McKinley Science Hub. 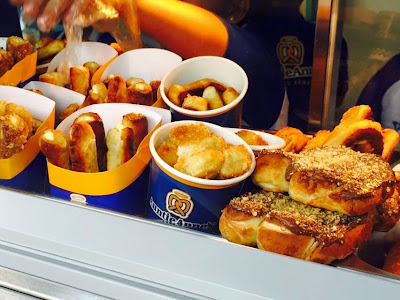 This much loved soft pretzel is already has been in the Philippines for two decades already and it is still continuing to grow. 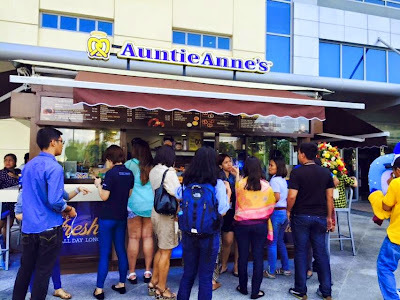 The care and love that they put when they make pretzels is what endeared them to Filipino consumers. The quality of the products is also consistent in all stores that's why it lasted this long in the business. With a new branch comes a new favorite offering in the pretzel line-up. Slathered with Nutella goodness, Auntie Anne's Pull-A-Parts is topped with Auntie Anne's signature almond crunch and baked in a unique zig zag shape that makes it easy to tear and be shared to family and friends. 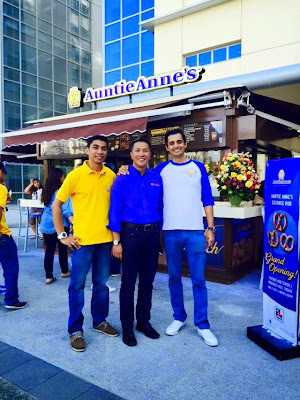 "It is exciting to share Auntie Anne's to everyone and let them experience the perfect Auntie Anne's pretzel snack treat at McKinley's Science Hub," said Mikkel Paris, CEO of Auntie Anne's. More photos are posted on Viva Manilena's FB Page.